Every decade Sight and Sound publish their list of "the Greatest Films of All Time", after polling both critics and directors. This is the most comprehensive survey of its kind, and so pulls a lot of weight. Even before it was announced the magazine was full of analysis, so expect even more now. Also expect every knee-jerk critic on the web to cry "but why no Star Wars!" Unfortunately their own site forces you to reload every handful of entries, which makes the process of browsing rather painful. So here, for your edification, are the Top 50 from the Critics list. The full list extends to 235 entries, which is a result of the tabulation process from 846 critics. But it is apparent that the voting tails off long before that. In fact, look at the top three. 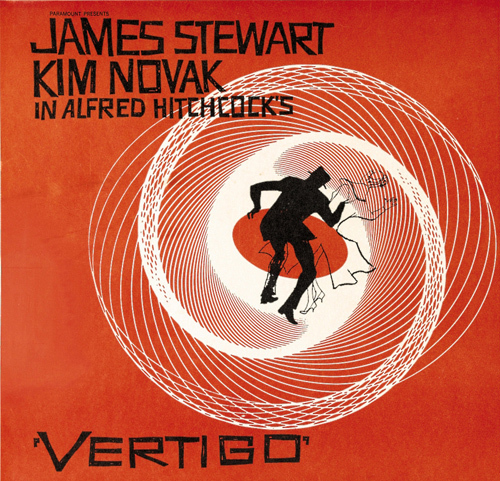 Vertigo gets far more votes than Citizen Kane, which itself trumps Tokyo Story. There are sizeable gaps between 2001: A Space Odyssey in sixth, The Searchers in seventh, and Man with a Movie Camera in eighth place. The last film on the list has only 29 votes, which means only 12 percent of the critics chose it. The reason is simple: there are a lot of films out there! And even though there is a surprising amount of agreement, sometimes favourite directors get split across their best films. It is also apparent, to put it mildly, that what the critics like is not what the people like. And this is even when it comes to well-crafted films. The Coen Brothers are not anywhere on the full list -- I would label that a bit of an oversight. Many movie fans will be scratching their heads at even who some of these directors are. Carl Dreyer has three films in the top 50, but how often can you actually see them? The reason, of course, is that this list springs from a particular analytic cinephile frame of mind. I understand this totally, having both the film and critical training. But the slavish devotion to "the masters" is still a bit much. Considering that the critics come from around the world I have to point out that there are no films from South America, Central America, Africa, the Middle East, India (excepting Ray, who is always included), Korea, China, Australasia, and so on. This is apparently not a world film list. The devotion to Japanese film is strong, so long as it is old, classic, contemplative black-and-white films. The devotion to French film is even stronger, and this can be understood from a historical perspective. There is also the by now standard exclusion of women, though admittedly this stems from the larger issue of their presence in the industry. Critics can't vote for films that simply don't exist. All in all, though some of these biases are perhaps inevitable, I think a list made in 2012 should be attempting a bit of useful revisionism. For example, does critics' darling Godard really deserve four films here? He has even more on the full list, though not the one I would place, Alphaville. I find that incomprehensible, except that it speaks to another large bias that I will address in a second post. For now, read the list and do what I am doing... compile a screening list. That's the fun of a project like this -- all critiques aside, it will lead to you further cinematic adventures. First on the list for me is The Searchers, since I recall it to be rather bland. I hold out the faint hope that I am completely wrong! I note that this survey is © 2012 British Film Institute. I present this version under fair use provisions, as the basis for further discussion. Watched The Searchers today and it was almost appallingly bad, completely downhill after the first (iconic) shot. There is nothing here that wasn't already a cliché by the end of the silent film era. Wayne remains a poor actor (surrounded by worse it must be said). Overbearing soundtrack, appalling racism, poor dialogue, forced symbolism, many actual errors of editing, etc. The one enjoyable element was Hank Worden, an actual character in the midst of so much banality. Towards Solutions For The Graffiti "Problem"